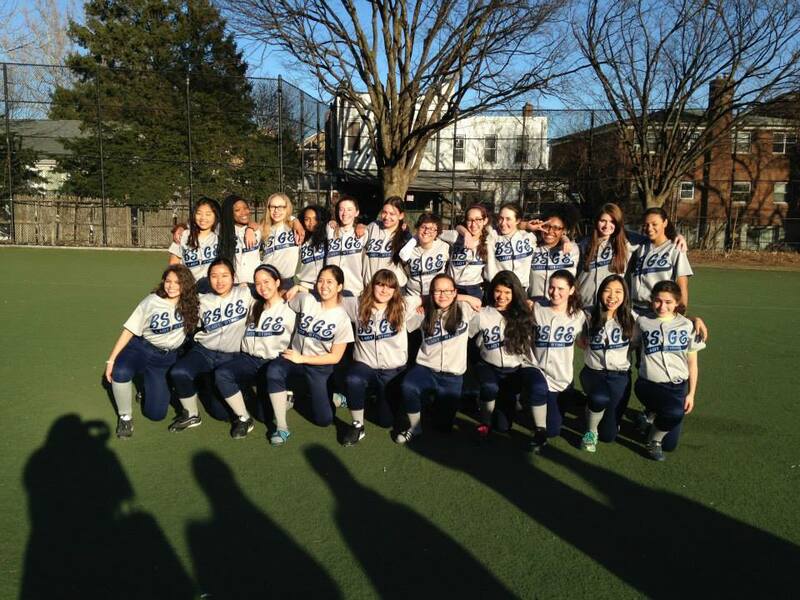 On Monday, May 19th, the BSGE’s girls’ softball team lost to Franklin K. Lane high school in the first round of the playoffs. Although the game was close at the beginning, Lady Sting struggled in later innings, and ended the game with a final score of 17-7. The loss marked the end of the team’s 2014 season, with an overall record of 9-4. This has been the fourth consecutive year that the team has made it to the PSAL playoff rounds. However, this year, Lady Sting is saying goodbye to three seniors: Lauren Katzenstein, Olivia Witting, and Erin Camia. The team celebrated the season on Friday, May 30th with a friendly alumni game and barbeque at Maurice Park. Current team members, parents, and coaches mingled with BSGE alumni who had been a part of Lady Sting in past years. The team will continue to celebrate the season with a sports dinner on Tuesday, June 10th, in the BSGE cafeteria. Previous Post The Buzz: What are BSGE students doing this summer?